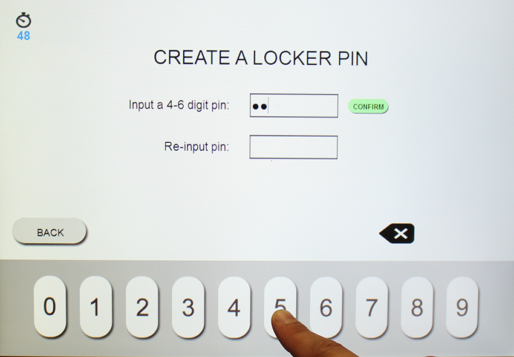 Users will gain access to the cell phone charging lockers by creating their own locker combination right from the touchscreen. The LockerPower charging station comes equipped with a 3M privacy screen and other features for added security. Each cell phone charging locker is equipped with the latest charging technology and supports charging for 98% of smartphones on the current market. Fast charging is available for compatible phones and the lockers can fit most tablets and smaller laptops. The phone charging kiosk can be connected to the internet (not required for functionality) to enable remote access which makes it easy to check up on usage, open up lockers, and change the custom branding on the touchscreen. The 19 inch touchscreen can be custom branded with images or videos of your company or sponsor. This along with other customization options such as decals or full wraps allow the phone charging kiosks with lockers to blend into any setting and build buzz for brands. The LockerPower is a locker charging station that is designed with the environment in mind. Each unit draws less than 250 watts, which is equivalent to a desktop computer. 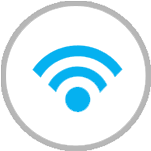 When the kiosk is not actively in use, power save technology ensures higher efficiency. 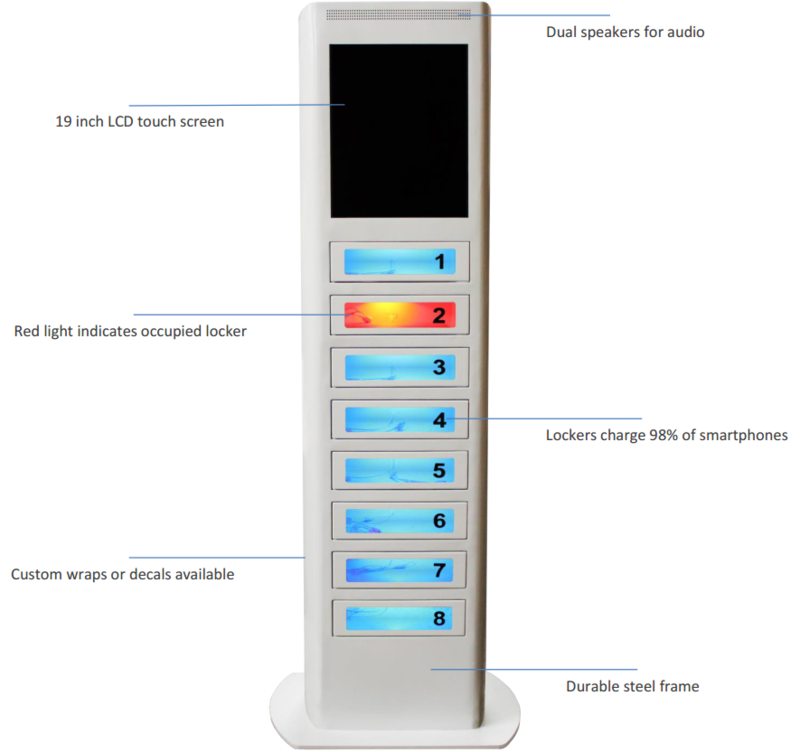 Veloxity offers premium cell phone charging stations for rent or purchase. Brands, organizations and events nationwide rely on Veloxity’s phone charging kiosks with lockers to keep patrons charged up and happy!